Home » Costa Rica Primera Division - Clausura » Betting preview for Limon vs U.C.R. Betting preview for Limon vs U.C.R. Limon come in this encounter after a defeat with result 4:0 against Saprissa away from home and this was their 7th loss in 8 matches that they have played this season so far and tonight I think they will seeking only for a win in their ground and I expect a positive performance from them and also goals. 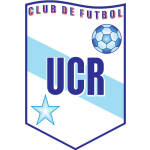 U.C.R. come in this encounter after a draw with result 1:1 against Guadalupe at home and this was their 2nd consecutive draw in the league an in this encounter I think they will have very difficult for a positive result. They have scored at least 1 goal in 4 of their last 5 league games. 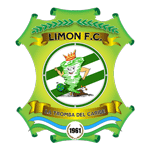 They have won only 1 in their last 13 clashes against Limon. Limon has a good chance to back on the victories path in front of own fans and against an opponent that they good results when they face them and I think they will be able to score 2 or more goals in this encounter while U.C.R can score at least 1 goal in this encounter IMO. My pick for this match Limon&BTTS at odds 3.15 with 10Bet.